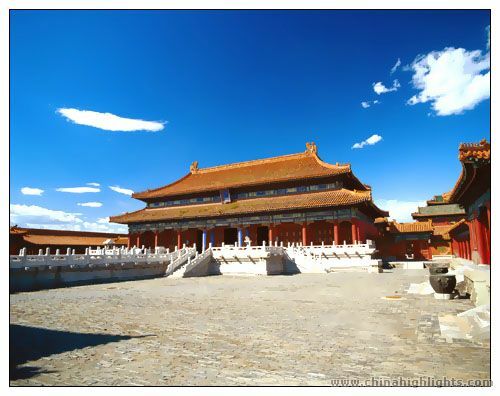 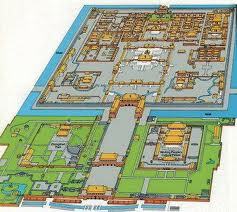 The site of the Forbidden City was situated on the Imperial City during the Mongol Yuan Dynasty. 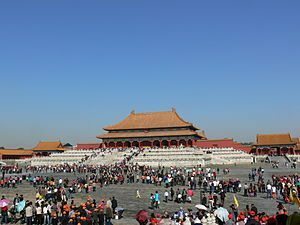 Upon the establishment of the Ming Dynasty, the Hongwu Emperor moved the capital from Beijing in the north to Nanjing in the south, and ordered that the Yuan palaces be burnt down. When his son Zhu Di became the Yongle Emperor, he moved the capital back to Beijing, and construction began in 1406 of what would become the Forbidden City. Built in 1406 to 1420, the complex consists of 980 buildings and covers 720,000 m2 (7,800,000 sq ft).The palace complex exemplifies traditional Chinese palatial architecture, and has influenced cultural and architectural developments in East Asia and elsewhere. 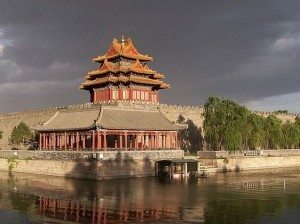 The Forbidden City was declared a World Heritage Site in 1987, and is listed by UNESCO as the largest collection of preserved ancient wooden structures in the world.